Welcome to the 2018 edition of 31 Days of Five Minute Free Writes! This has become an annual tradition inspired by the Write 31 Days challenge, which takes place every October. For Write 31 Days, writers and bloggers are challenged to choose a topic and write every single day during the month of October. With 31 Days of Five Minute Free Writes, we provide 31 one-word writing prompts and challenge you to free write for five minutes flat on each provided word. It’s like a month-long Five Minute Friday! You’re free to plan ahead, write in advance, and schedule your posts long before they go live if it makes it easier for you. The goal is to get you writing consistently and to stretch those writing muscles. By the time you’re finished, you’ll have a significant body of work that you could even expand further or turn into an e-book! Ready to take up the challenge yourself? 1. Sign up here to join the Five Minute Friday mailing list and receive updates via email about the 31 Days of Five Minute Free Writes Challenge. 2. Download the list of prompts below to start planning ahead (if that’s how you roll), or print off a copy to keep next to your computer during October. 3. Optional: Create a square graphic that can be used in the link-up and on social media to identify your series. If you want to skip this step, you’re welcome to use the FMF image above. 4. Sometime between October 1st-5th, come back to this post to link up one post or page from your website (this could be a landing page or Table of Contents page for your series, or your Day 1 post so people can follow along from there). The link-up will open at 8am EST on Monday, October 1st and close at 9pm EST on Friday, October 5th. Note: You will not need to “link up” more than once during October, unless you’d like to participate in the regular weekly Five Minute Friday link-ups. To learn more about how to participate in a link-up or how to add your link, visit this page for a tutorial. So go ahead and SIGN UP HERE to get email updates, and feel free to join our private Five Minute Friday Facebook group for added encouragement and accountability (this group is active year-round, not just during October). 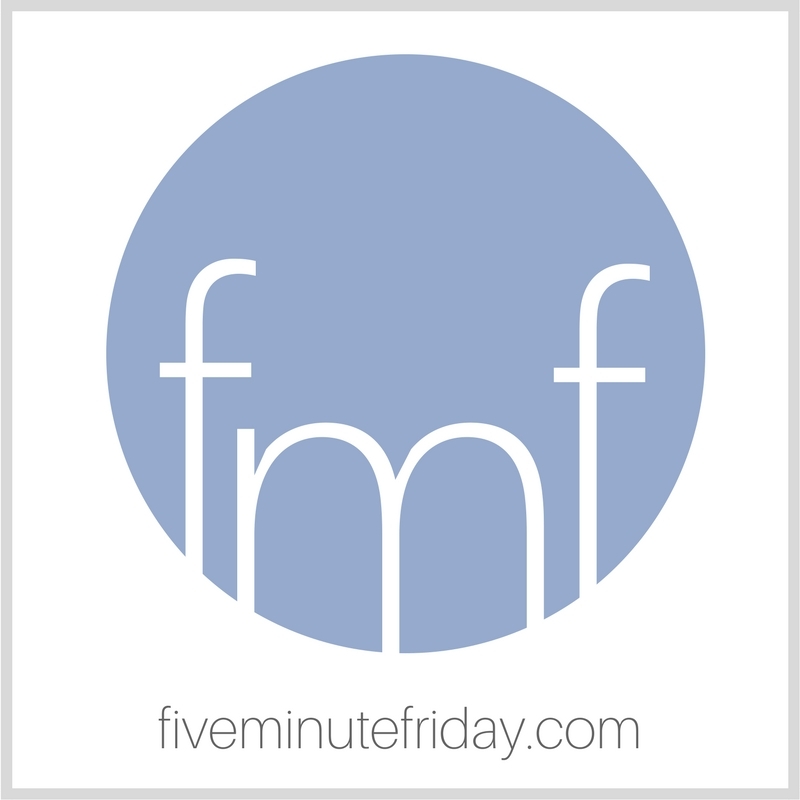 If you have any questions, you’re welcome to email me at kate@fiveminutefriday.com. Cheering for you and excited to be on this journey with you! And now, without further ado, the list you’ve been waiting for . . . Here are this year’s writing prompts! Link-up will be open below from 8:00am EST on Monday, October 1st through 9pm EST on Friday, October 5th, 2018. You only need to link-up once — choose whichever page or post from your site that will help readers follow along with your series!